Spire Global is a data analytics provider that uses information provided by a constellation of orbital nanosatellites to track ships on the high seas – a service that’s valuable to maritime shipping companies and other clients. Now, thanks to general improvements in both the in-space and ground-based technology Spire uses to collect its data, it’s adding two new products to its developer-oriented tools that make tracking ships at sea even easier. Spire works by simplifying the process of dealing with the wealth of database entries available regarding ships on the sea, which businesses use to make decisions about how their own companies operate. Ship placement, destination and direction can have huge impact in terms of how logistics and shipping companies plan their daily operations, as well as how adjacent industries, including ports, run their own businesses. Spire is adding two new products to its offerings, including Sense Vessels, which can bring up up-to-date information about any of among around 300 thousand ships out on the ocean at any given time, using a single API call. Another new product called Predict will use machine learning to help anticipate where ships will be in the future, based on a number of inputs including current route, weather and known manifest data. The company says it can offer these new features thanks to improvements in how many ground monitoring stations it can tap into, new satellites added to the constellation, and software upgrades beamed to its existing fleet of satellites up in orbit. Spire’s strategy with its constellation is to go for affordable volume, with constant updates fed to keep their capabilities improving via software. This is made possible thanks to the rise in nanosatellite tech, which makes launching multiple inexpensive satellites a viable option in a market that was once dominated by multi-million and billion dollar hardware. 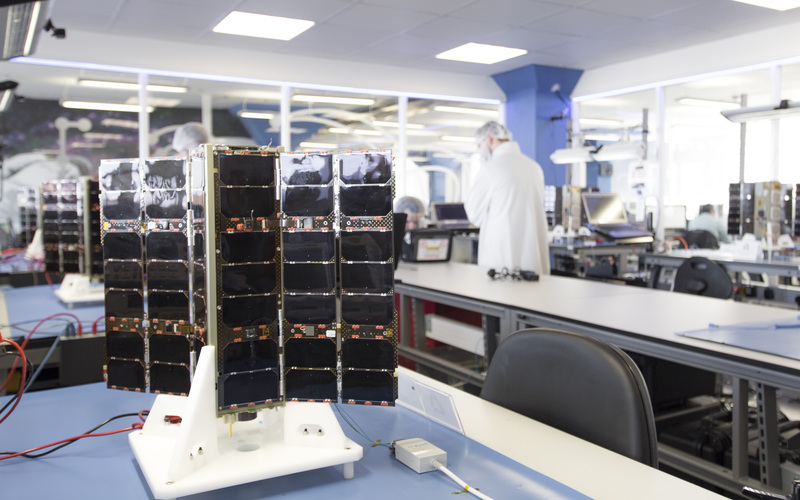 Spire currently operates 40 orbital satellites, and has plans in place to roll out even more improvements to its network and data analytics via additional launches, more ground stations and more machine learning improvements over the next couple of years.